Live in Minneapolis and need shower and bathroom renovations? We are one of the top construction and home remodeling companies in the Minneapolis area. 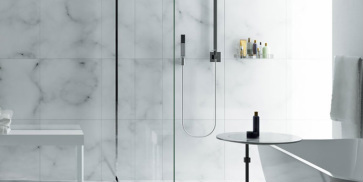 From glass shower doors and custom walk in designs, we can help with all your needs. Before rushing into drawing your floor plans and choosing the fixtures, step back and determine exactly what you want and need in a new bathroom and shower. You probably have general ideas about this already, but the more thorough and specific you can be from the onset, the more satisfying the final result will be. Start by taking detailed stock of your present bathroom situation. Consider everything from service materials to more fundamental issues, such as layout and location. Perhaps new flooring, wall coverings, countertops, or fixtures would do the trick. Or maybe you'll need to rearrange the layout of the existing bathroom and shower, add onto it, or create an entirely new one. No matter what your needs, we can help! Sometimes a bathroom doesn't work well because it has too much space. This happens more often in houses that were built before the advent of indoor plumbing, which is fairly common in Minneapolis. When the outdoor pretty came indoors, it often was placed in a bedroom or some other space that like the right proportions or scale to function as an efficient bathroom. Is old-fashioned bathrooms may contain all the essential yet look and feel awkward and actual use, so they offer many opportunities for improvement. Wants and needs must always be balanced against the budgetary bottom line. We can assist with this matter as well. Home Shower Removal Tip: Equipped with a shower stall instead of a tub, a three quarter bath can be squeezed into a space that measures 6x6 feet. If your family prefers showering to bathing, a three-quarter bath could solve your morning traffic jams. Other good uses for this kind of bath and shower include a guest bath, a bathroom for older children, and a backup to the main family bath. Bathroom tip: Typically located close to bedrooms, a full bathroom consists of a sink, toilet, and tub. 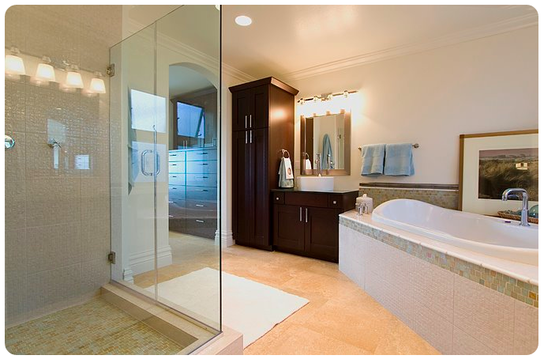 In place of a tub, a full bath may contain a separate tub and shower or a combination of the two. The minimum room sizes needed to accommodate this full range of fixtures is 5x7 feet. Many different floor plans are possible, though it all depends on your particular wants, needs and budget.